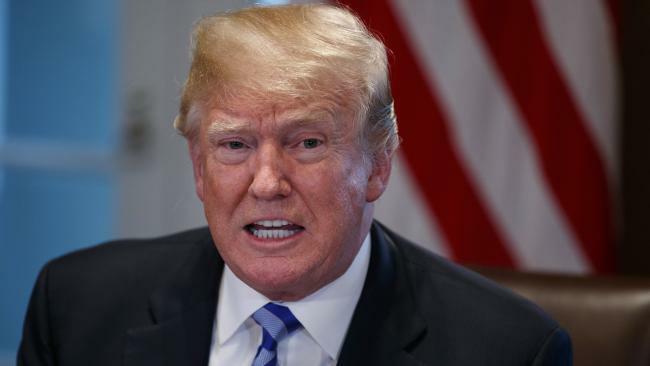 US President Donald Trump said he will officially "demand" that the Department of Justice investigate whether the FBI "infiltrated" his 2016 presidential campaign during the Obama administration. "I hereby demand, and will do so officially tomorrow, that the Department of Justice look into whether or not the FBI/DOJ infiltrated or surveilled the Trump Campaign for Political Purposes - and if any such demands or requests were made by people within the Obama Administration!" Mr Trump wrote on Twitter. According to the New York Post, the posting comes after the president launched a stream of tweets on Sunday about an FBI informant who met with a number of Trump campaign associates in the summer of 2016 - meetings revealed in a report Friday by The New York Times. Mr Trump also continued to assail special counsel Robert Mueller's Russia probe as a "Witch Hunt." Congressional Republicans are seeking records from the Department of Justice about the informant and other details about the investigation into Mr Trump's campaign. The president, his legal team and some Republican members of the House and Senate have pointed to the reports as evidence that Mr Mueller's investigation into Russia meddling in the election and any collusion on the part of Mr Trump's campaign aides was politically motivated. The president in a tweet over the weekend hinted at that possibility. "If the FBI or DOJ was infiltrating a campaign for the benefit of another campaign, that is a really big deal. Only the release or review of documents that the House Intelligence Committee (also, Senate Judiciary) is asking for can give the conclusive answers," he said. FBI Director Christopher Wray has cautioned against outing informants, saying "the day we can't protect human sources is the day the American people start becoming less safe." He also reprised his attacks on Hillary Clinton, his Democratic challenger in 2016 and maintained that the Democrats were not submitted to the same scrutiny by the FBI. Mr Trump also implied that the special counsel investigation of whether foreign governments tried to influence the presidential campaign was designed to hurt Republicans in the November congressional elections. "Now that the Witch Hunt has given up on Russia and is looking at the rest of the World, they should easily be able to take it into the Mid-Term Elections where they can put some hurt on the Republican Party," he wrote.